Java is a programming language that's specifically designed to be as platform independent as possible. Developers can write their applications once without the need to recompile a separate version of the application for each platform. 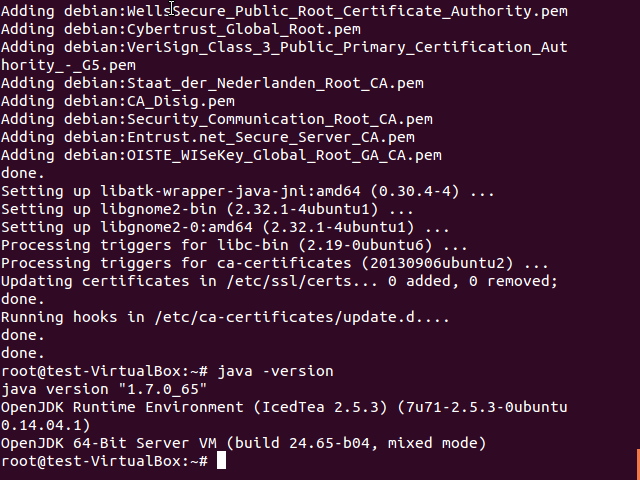 The Advanced Packaging Tool is the most common method of installing Java on Debian Linux distributions such as Ubuntu. Apt simplifies software management on these systems by automating much of this process, including the download, configuration and installation of software packages. This example shows how to select a Java Development Kit (JDK) 7 installation package, install it with apt and verify that Java has been properly installed. Here is a quick tutorial on how to how to install Java using apt-get. Select openjdk-7-jdk for this example, which is the OpenJDK 7 Development Kit. Enter the following command to install the software package you have selected. Press 'y' when prompted to authorize the required storage space for the installation. How can I access the FTP Backup server for my Linux Virtual Private Server?